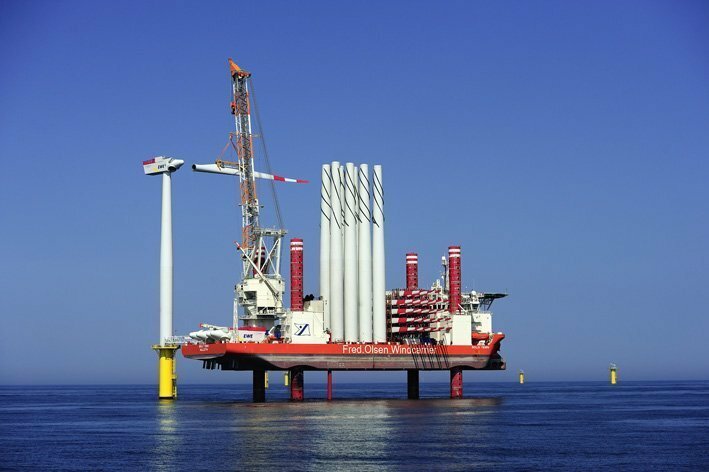 Fred Olsen Windcarrier has announced that it been awarded a transport and installation contract for installation of Siemens 7MW turbines at the Hornsea Project One Offshore Wind Farm, developed by DONG Energy Wind Power. Around half of the 174 turbines are expected to be installed under the contract. “This is a very exciting project for us as it is the first large transport and installation project we will have worked on in the UK. Not only that, but it is our first project working with DONG Energy Wind Power. We are proud to have been chosen for such an important project for DONG Energy Wind Power, and hope it will be the start for a long and strong relationship between us and the leading offshore wind development company in the world,” said Even Larsen, head of commercial and projects. A2SEA was also awarded a similar contract by DONG this week.